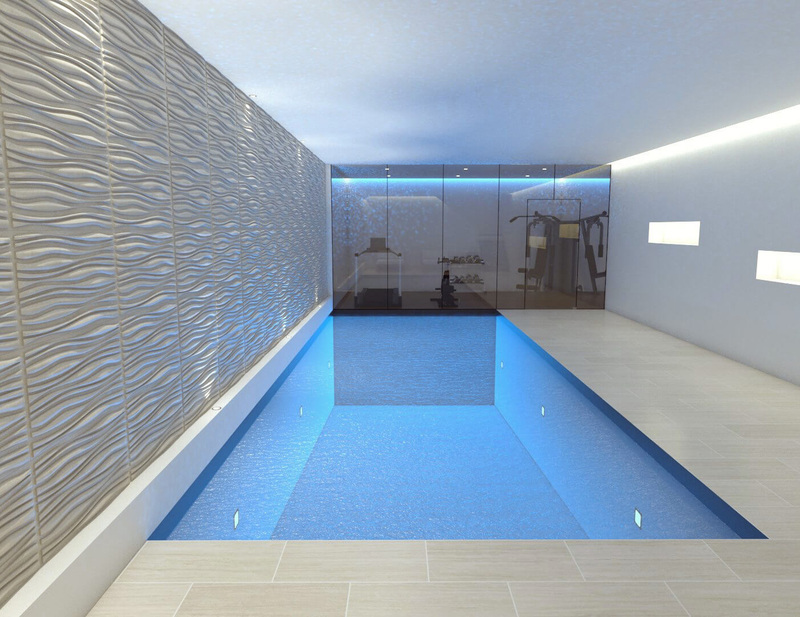 Basement swimming pools, steam rooms and spas are now an established feature of London’s prime property market. They allow families and their guests to enjoy luxurious leisure facilities in private, while keeping the character and charm of a period home at the original upper levels. Some people are dissuaded from installing a pool by the amount of energy it takes to run, but these issues have been widely overcome by pool technologists. OLBC have successfully integrated basement swimming pools with a range of advanced control equipment to produce an environmentally friendly pool. Combined with the advances in purification technology, a virtually chlorine-free pool is now possible, achieving crystal clear water that is soft and wonderful to swim in every day. Be sure that our experienced project management team will considerately guide you through every step of the proposed project to ensure that we deliver a stunning build to match your exacting needs. Contact us today to begin discussing your dream swimming pool, spa or sauna on 0208 877 0526 where an expert member of the team will be on hand to discuss your needs.